Guest actual picture is required. 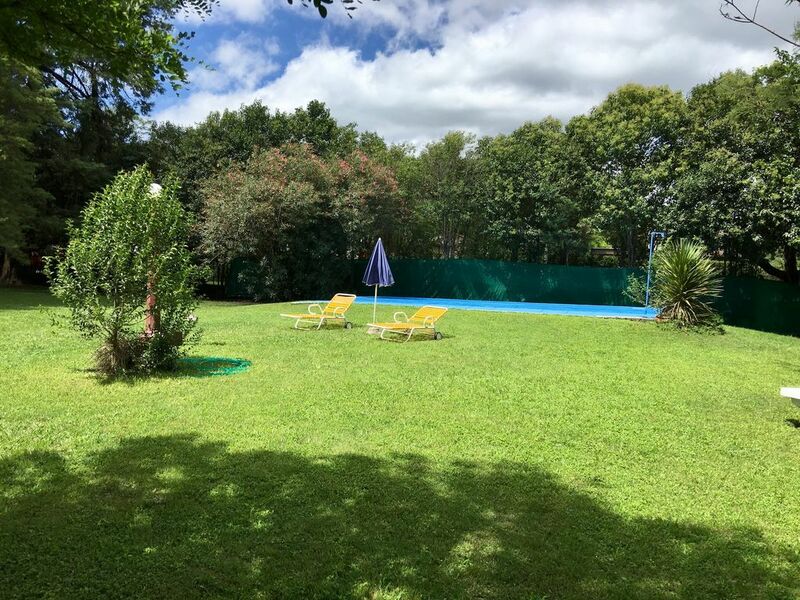 Dream family home that accommodates up to 8 people and features over a 1/2 hectare of beautifully groomed private grounds with swimming pool, fruit trees, BBQ. Garage for up to 2 cars. Caretaker on premises for any needs that may arise. Private estate setting that comfortably accommodates up to 8 people and is perfect for families. Two queen beds and 4 twin beds. Onsite parking and garage for fours cars inside the property. This property is very well maintained, beautiful and very comfortable. El casero (caretaker) Juan is kind, attentive, funny and helpful. He really helped to make our stay wonderful. In fact, his personality brings a great deal of joy and ease to the trip. The house itself is large and comfortable, though hot in the summer months. Another fan or two would help. Also, the kitchen could be better appointed (sharp knives, drying rack for dishes, etc., etc.). Overall, high recommendation.